Sole proprietors and small business owners often operate on narrow profit margins. They may be highly dependent on the equipment they purchase for their business to work as promised—and unable to make enough money to stay afloat when it doesn’t. 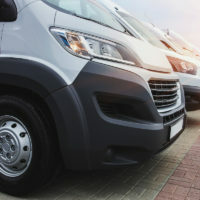 When a California small business invests a substantial amount of money in a vehicle, and that vehicle suffers from mechanical issues that don’t respond to repairs, the business may be entitled to protection under the state’s Lemon Law. Read on to learn about when a small business owner can get help when a vehicle is defective, and contact a seasoned California Lemon Law attorney for more information. Who is covered under California’s lemon law? The “gross vehicle weight” is under 10,000 lbs. “Gross Vehicle Weight,” often abbreviated to GVW, is the weight of the vehicle itself. A term that can be confused with GVW is “Gross Vehicle Weight Rating,” or GVWR. This term is used to describe the capacity of a vehicle when fully loaded with either passengers or cargo, and may be a much larger number than the GVW of a given vehicle. For the most part, the <10,000 lb GVW weight limit covers most vehicles that might be owned by a small business. This includes full-size luxury sedans, certain trucks, and SUVs. For example, a number of limousine service companies have filed successful Lemon Law claims against manufacturers of unrepairable vehicles, as have contractors filing claims based on defective heavy-duty pickup trucks. Manufacturers who tell owners of lemons that their business vehicle isn’t covered by California’s Lemon Law when, in fact, they are, could face civil penalties under the law. In fact, if the manufacturer willfully violates the Lemon Law when interacting with a vehicle owner (such as by telling a covered owner that they aren’t covered), the vehicle owner may be able to recover penalties amounting to up to twice the owner’s monetary damages. A California Lemon Law attorney can help you determine the damages you may be owed in a claim against the manufacturer. If you believe you may be entitled to compensation under the California Lemon Law, get help seeking those damages by contacting the dedicated and knowledgeable California Lemon Lawyer Nick Nita for a no-cost consultation at 213-232-5055, or toll-free statewide at 877-921-5256.